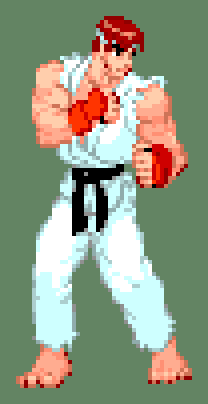 would streetfighter alpha be possible on the megadrive ? 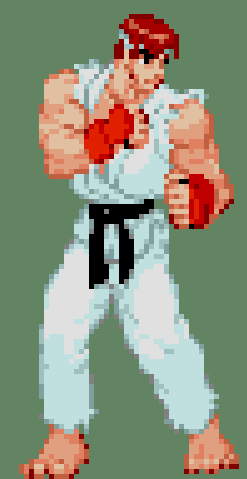 Thread: would streetfighter alpha be possible on the megadrive ? 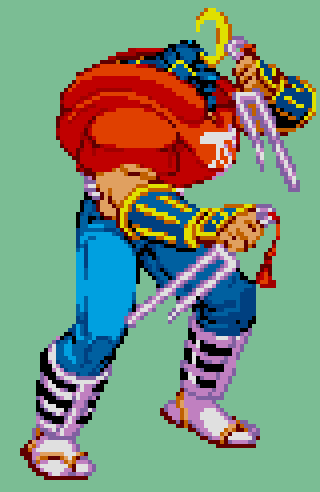 There's no reason to dither player sprites in a Mega Drive street fighting game. 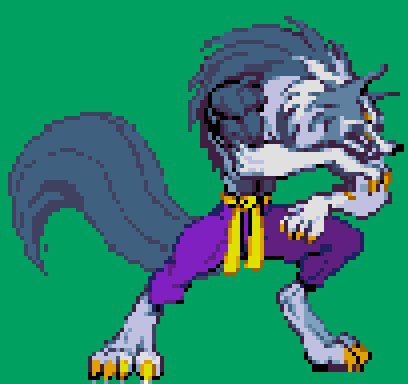 Especially something like SFA, which has more of a cel shaded look than traditional CPS1 games. 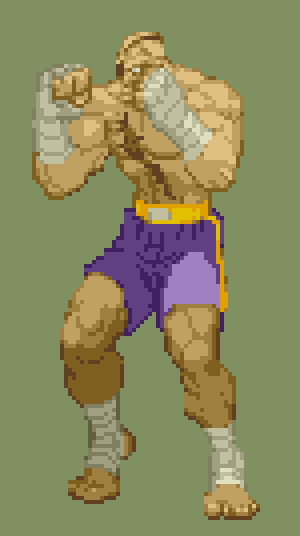 Dithering would ruin the sprites and be much more different than any shade in the MD palette. Texturing could potentially be beneficial in something like a Mortal Kombat port, but Alpha games are some of the friendliest fighting games for Mega Drive hardware. Last edited by Pyron; 02-09-2019 at 12:14 PM. Last edited by Pyron; 02-09-2019 at 12:17 PM. That's one strange palette representation you're using ( 0,32,64,96,128,160,192,224 ) .. are there any emulators that actually use that palette? It feels like a image that's meant to be fed to a converter ( maybe )? Anyway, if you'd convert it to the hardware color levels it looks like this .. This is because there is a difference in the value you measure using the oscilloscope, and the value you write in the cram. Personally i think it makes more sense to represent the converted images as they would appear on the hardware .. but OK. Not saying that going with "classic white" is superior to "candy" colored either ( both are a ways off the original ), that's just a artistic choice. Dithered won't appear like that on real hardware. Personally i think it makes more sense to represent the converted images as they would appear on the hardware .. but OK.
You just can't represent it here, by several factors. - What output your MD is running? comp, svideo, rgb, rgb converted do YCBCR ? - Your windows or linux setup uses what Srgb profile? - Your monitor is profissional and uses all RGB and Adobe color space? - Did you know what the color temp that's MD hardware uses? - Do you are testing your MD on a consumer TV or Profissional Monitor? also the "candy" color or gray white in your representation is exaggerated. Last edited by Pyron; 02-10-2019 at 08:35 AM. Okay I've seen enough, this all looks way too awesome to never happen. we have to act now. 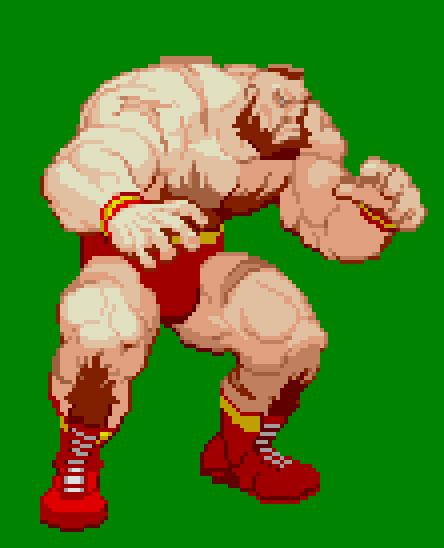 I suggest we kidnap a good coder/dev whatever and hold him in a basement and force him to reverse engineer the Genesis SF2 rom into something we can use. Then and only then will we let him go. Okay who are we gonna kidnap? Steff? TmEE? Our firend @tryphon some time ago post this video showing 4 ryus alpha sprite on the screen..
Hes doing Shinobi right now, but if the others genius guys want to help him to finish i guess that hes gonna accept.